Pinterest is one of the fastest growing social networks today, especially among women. Over 75% of the Pinterest user base is comprised of females. With such a high percentage of females using Pinterest, you should create a Pinterest Account for Business if yours caters to women. Joining Pinterest can help you build your brand and your business. 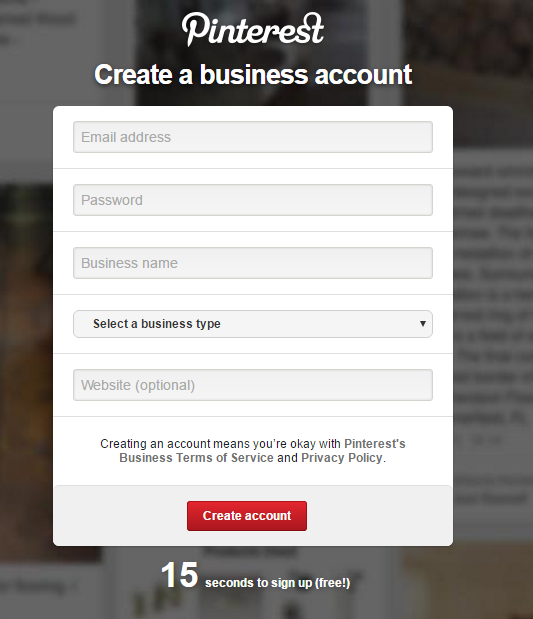 When you sign up for a Pinterest business account, you will need to sign up through the business link. This is a little different than other sites like Facebook and Twitter where you sign up through the main link and then designate your account as a business account once you have joined. You’ll want to sign up as a business so you get more tools to use once you are a member. Pinterest for business lets you use the “Pin it” button, provide more details to your Pins, promote your pins plus see analytics so you’ll know what’s working and what isn’t. 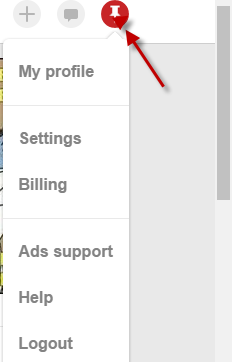 To get started setting up your Pinterest business account, visit pinterest.com/business/create/. Lastly, enter your website URL. 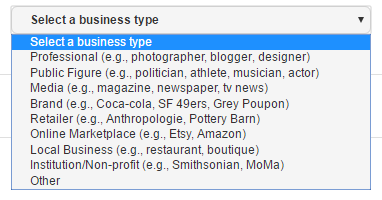 If you do not have a website, you can enter your Facebook business page or something similar until you have a website. Or you can leave this blank. 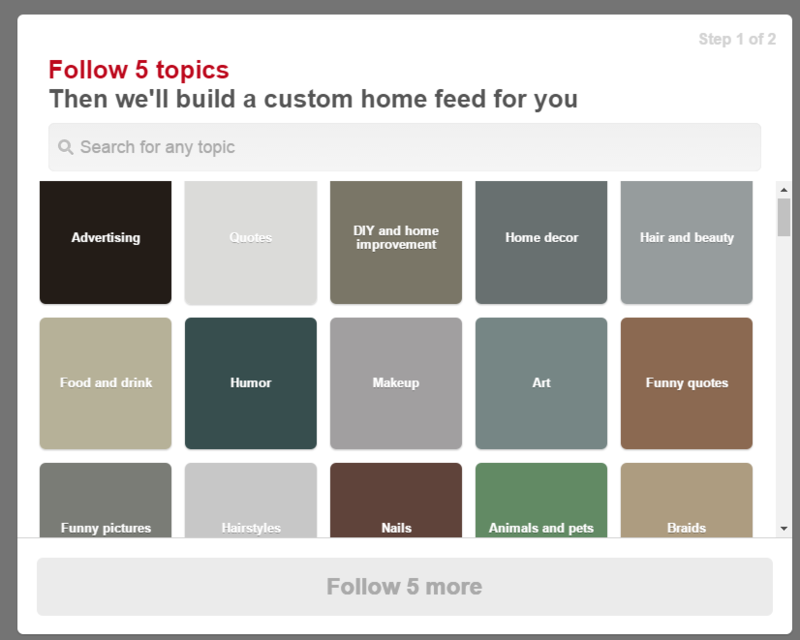 Once you choose your 5 topics, your “Pinterest Board” will be created and page will be created. From your profile you can add a profile picture and create your first board so you can start pinning your own pictures and growing your business. Feel free to share the URL of your new Pinterest Business page in the comment section below. We’d love to hear from you!